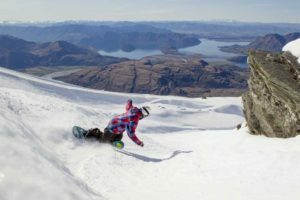 * Ski days can be used at either Coronet Peak or Remarkables ski field. Please pick the mountains on multi-day products when making the booking. Child rate: 6-17 years old. Everything you need for your first ever day on the snow! Departing Queenstown at 8.15am, the bus reaches the mountain for 9am giving you time to get kitted out with your choice of snowboard & boots or skis, boots & poles. Learn the basics of skiing or snowboarding with four hours worth of lessons from an experienced instructor. Optional Extras: add on two items of clothing for just $30 per person. Everything you need for your first two days on the snow! Departing Queenstown at 8.15am, the bus reaches the mountain for 9am giving you time to get kitted out with your choice of snowboard & boots or skis, boots & poles. Learn the basics of skiing or snowboarding with four hours worth of lessons each day on the beginner slopes. Optional Extras: add on two items of clothing for just $30 per person, per day. The ultimate beginner package! Departing Queenstown at 8.15am, the bus reaches the mountain for 9am giving you time to get kitted out with your choice of snowboard & boots or skis, boots & poles. 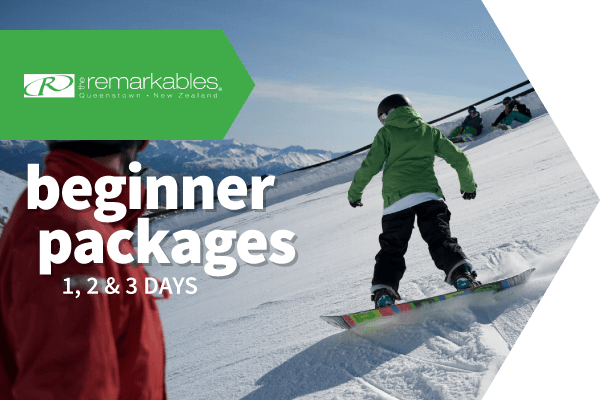 Learn the basics of skiing or snowboarding with four hours worth of lessons on Day One and an additional 2-hour lesson on Days Two and Three*. Once you’ve got up to speed on the beginner slopes, a full mountain lift pass will allow you to explore the whole mountain on the last day. What is a Beginner Package? -Beginner packages are designed for first timers and include 4 hours of lessons; the ideal way to get you up to speed. Instruction will cover the very basics, including clipping in to your bindings, balance, starting/stopping and basic turning. 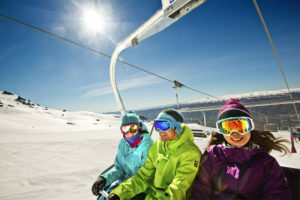 You will be limited to the learner area on your first day – two or three day packages allow you to ride the chairlifts on Days Two and Three. What level of equipment is included in the packages? -All packages include standard grade equipment that is suitable for the majority of visitors. However if you would like to upgrade your equipment please let us know when booking a package – additional costs apply. – Regardless of your ability, chances are you’ll come in to contact with the snow at some point. A water- and wind-resistant jacket and pants will keep you dry and warm. – Even on sunny days we recommend wearing thermal layers that you can put on or take off to regulate your body temperature as the weather changes. – Gloves are essential and sunglasses or goggles highly recommended for preventing snow blindness. 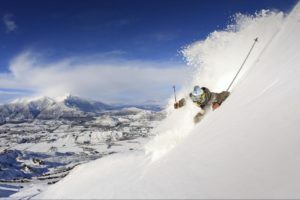 – A helmet will keep you safe and protect you from head injuries including concussion, which can occur even on powder days. – Single layer sports socks which reach up to your lower calf will be the most comfortable in ski or snowboard boots. Info & Snow has a range of great value jackets, pants, goggles, gloves and helmets to rent, as well as socks, hats and scarves to buy. See our Rental page for more information. How do I add on clothing to my package? -Once you have clicked the Book Now button next to the package you wish to buy, you will be given the option to add on any two items of clothing for just $24 per person, per day. Choose from: jacket, pants (or saloupettes), gloves, goggles or a helmet. You can add on additional items in-store. Can I decide if I want to ski or snowboard on the day? -Yes, you can decide at the rental shop. If you have booked a package with lessons then equipment is organised up the mountain in the morning. Please note that for multi day packages you cannot switch between skiing and snowboarding once equipment has been organised.